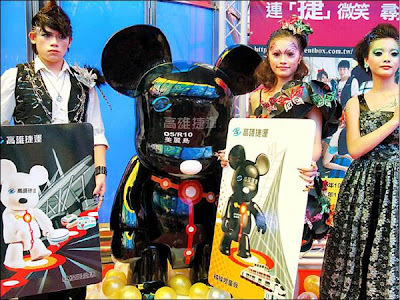 Venue: Hong Kong Convention and Exhibition Center, "Hong Kong. 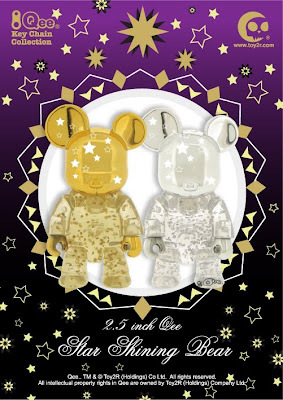 Design Gallery"
The holidays are quickly approaching and Toy2R has some surprises in store on the sleigh... the very limited edition Bossy Bear & Friends: Milk and Cookies Guardian Edition - just in time to get them under the tree for that bossy fan. 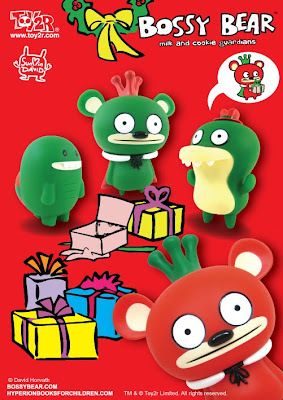 David Horvath has created a unique holiday edition for fans of Bossy Bear and now you need not worry about a lump of coal! 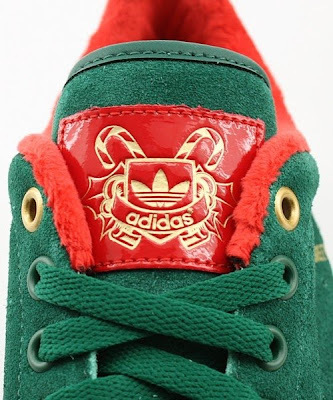 This collection will feature Bossy Bear, Turtle and Crocadoca in holiday themed colors and a very special version of Bossy Bear to keep a look out for. Hong Kong's most stylish products are now available at Hong Kong International Airport, with the opening of a second new Design Gallery shop. 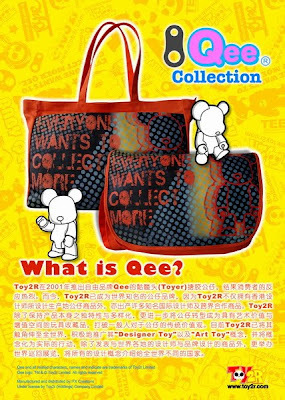 The new Design Gallery allows travellers to enjoy last-minute shopping for Hong Kong-branded products before their departure. 1st shop Located at the airport's Departure Hall (Level 7), the shop is dedicated to the promotion of high-quality Hong Kong products and original local design. (From left to right) Picture shows Mr Clement Cheung、Mr Vincent Wong、Ms May Wong、Mr Alan Yip、Ms Aimee Chan、Ms Anne Chick、Mr Wing Lee、Mr Eddie Hui, Mr Raymond Choi and Mr. Arthur Yung officiated at the opening ceremony of Design Gallery at Hong Kong International Airport. 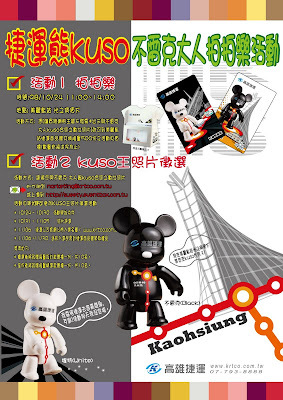 In a unique collaboration - Toy2R and Kaohsiung Rapid Transit Network worked together to release the KRTCO Kuso Qee Bears. 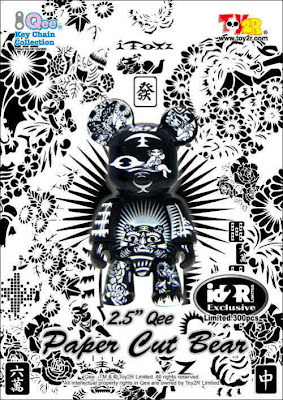 Each Qee Bear features a simple form of the transit network available in Black and White. 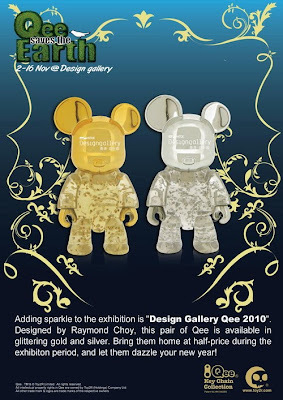 Available stating October 24th and all KRTCO subway stations, each 2.5" Scale Qee exhibits a simple and yet recognizable design and includes patented key chain attachment while limited to only 1500 pieces of each version. 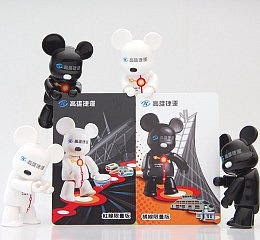 The design of each Kuso Qee Bear will be represented on transit theme cards while the blister card backing features the entire transit map. 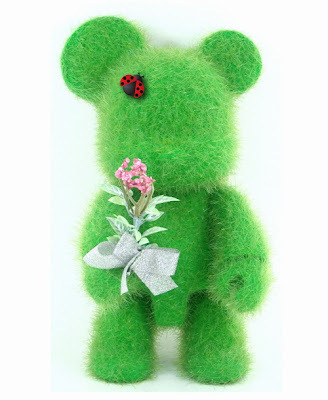 In addition,a 60" version of the Black Kuso Bear, which will be located in the station and passengers are encouraged to stop and take a photo with the giant Qee Bear while traveling on the transit system. KRTCO has developed some great activities for additional giveaways during this promotion for a limited time. 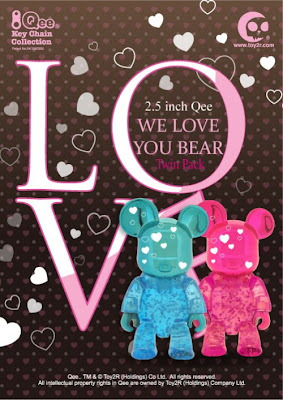 Read more about the marketing of the Kuso Bears here Qee x KRTCO - Going Your Way! 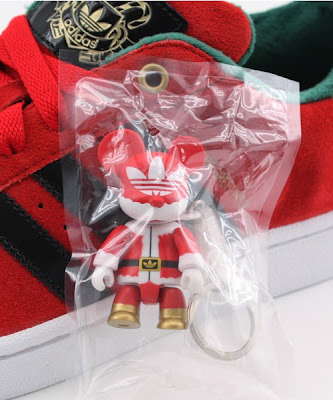 In conjunction to the adidas Originals presents their Fall/Winter 2009 Seasons Greetings Pack,the German brand adidas and Toy2R teamed up to round-off the pack with the Toy2R Holiday Qee which is exclusively limited to the holiday release. 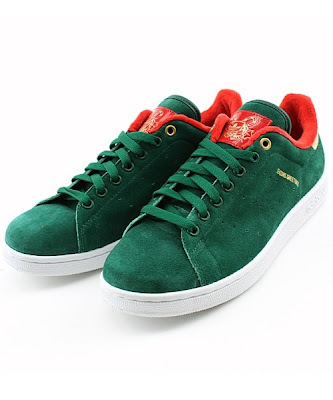 The pack consists of the Stan Smith 2 and the Superstar 2, both coming in feature classic Christmas colorway and Christmas inspired graphics combinations on the tongue tag and heel. 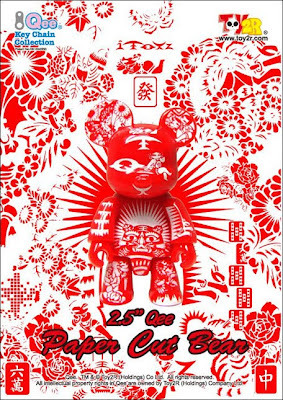 Organised by Hong Kong Design Centre, the two-week summer's Discover Design was held from 18 July to 1 August 2009. Targeting students at senior secondary schools, the programme comprised intense studio work, seminars, workshops, mini projects, meet-the-designers sessions and visits. Deeply immersed in a culture that is both demanding and rewarding, students experience what education and work are like in the design and creative professions. The two-week programme including all public events attracted over 2,000 participants. 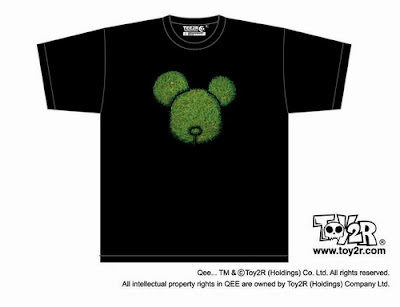 I am express my Honor to support to Discover Design 2009. 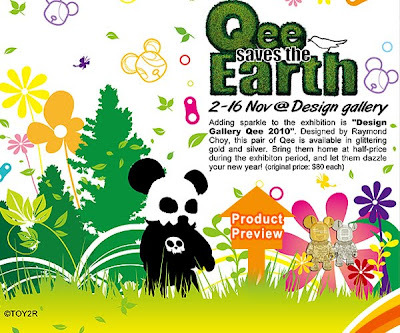 Thanks again and look forward to continued support to Discover Design 2010! The Daily Reviewer said our readers have submitted and voted for our blog at The Daily Reviewer. 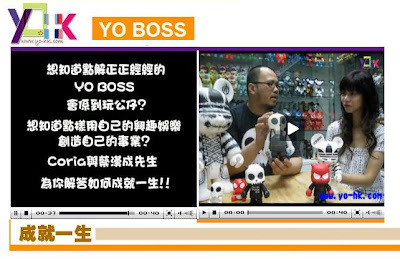 compiled an exclusive list of the Top 100 toys Blogs, and we are glad to let you know that our blog was included! 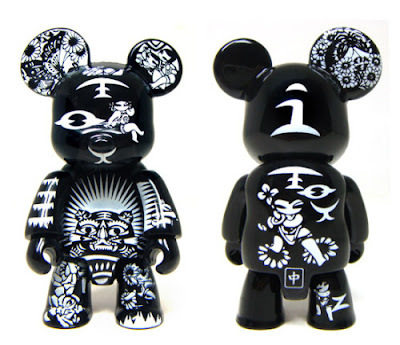 DEADY by Voltaire (musician, toy designer and creator of the DEADY graphic novel series) x Toy2R Qee = the ADVENTURE QUEST DEADY 8" Qee! 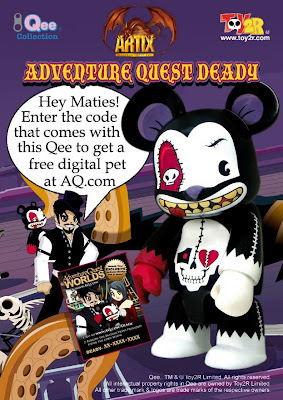 DEADY 8" Qee comes in a full color box wrapped in gorgeous art from the Adventure Quest Worlds game! 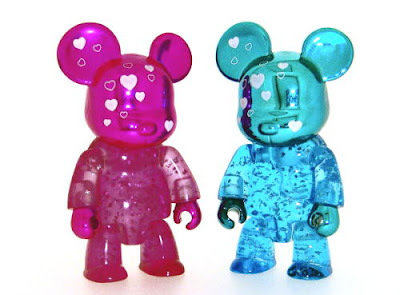 1) A digital Deady pet that follows you wherever you go in game! 2) Free downloads of the songs Voltaire sings in the quest! 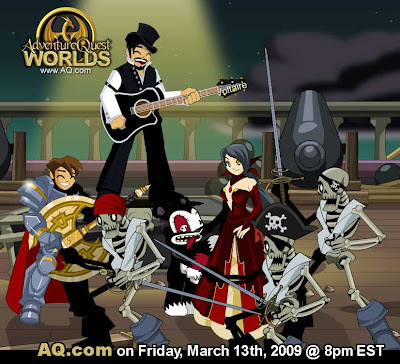 3) And other "house" items players can use in the game. 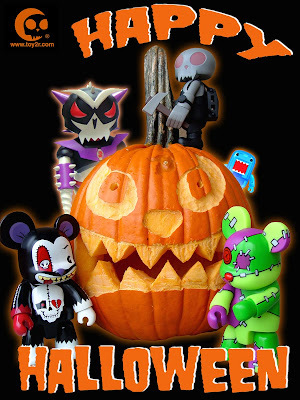 Now available from Toy2R , APEX Trading Company distribute in USA.